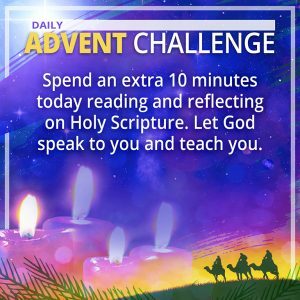 HAPPY ADVENT SEASON: WORDS TO INSPIRE US! In this beginning of the Christmas ADVENT SEASON let us take steps to help us as we prepare for the arrival of our Lord Jesus Christ. Anything we undertake should be simple and sustainable. Remember self growth and personal spirituality is paramount for ourselves as we continue to carry this cross for ourselves and our loved ones. 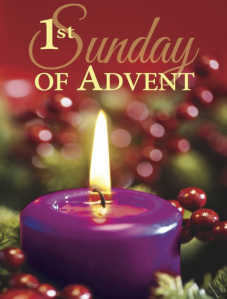 Today let us take these baby steps toward a spiritually fulfilling and benevolent Advent. Here are four thoughts towards that goal. GOD BLESS! Perhaps the essential spiritual tool in the Catholic arsenal. The misnomer is that we need to do a full hour when in fact any time afforded is rewarded, even if just parked outside a church saying a Hail Mary. 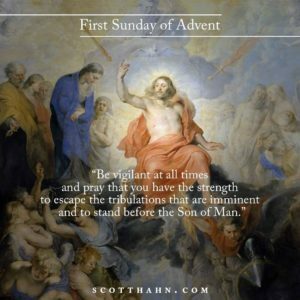 Friends, in today’s Gospel Jesus tells his disciples to be vigilant. Today marks the beginning of Advent, the great liturgical season of vigilance, of waiting and watching. What practically can we do during this season of vigil keeping? What are some practices that might incarnate for us the Advent spirituality? I strongly recommend the classically Catholic discipline of Eucharistic adoration. To spend a half hour or an hour in the presence of the Lord is not to accomplish or achieve very much—it is not really “getting” anywhere—but it is a particularly rich form of spiritual waiting. Then, throughout Advent, watch attentively for signs. Also, when you pray before the Eucharist, allow your desire for the things of God to intensify; allow your heart and soul to expand. Pray, “Lord, make me ready to receive the gifts you want to give,” or even, “Lord Jesus, surprise me. We all need to food shop. Even some supermarkets offer ready made food boxes at the checkout to help out local charities. 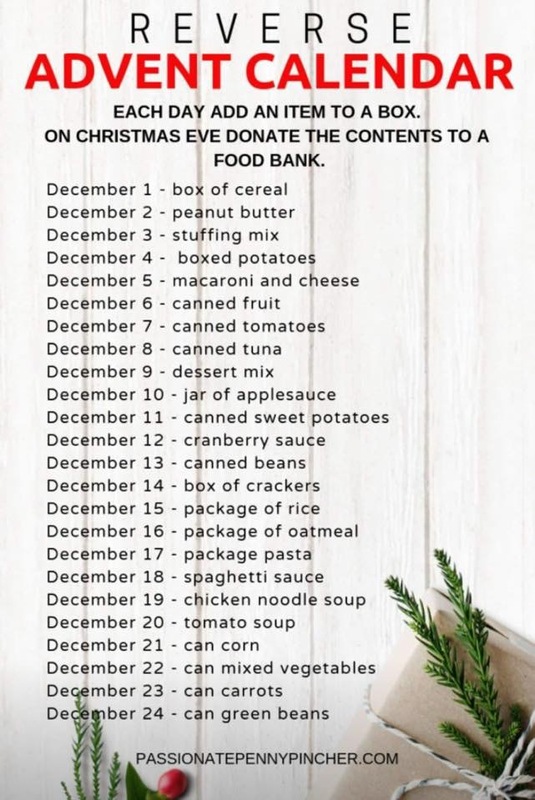 As I look at the breakdown of each day’s items, the total cost of the seven weekly items is about the price of two latte’s at your favorite coffee shop. 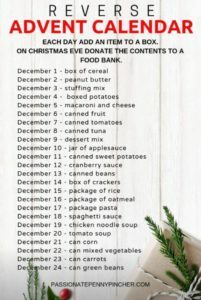 It is a great way to replenish the local food banks after they are depleted at Christmas. One outstanding suggestion is to read and reflect on the Word Of God. One suggestion I saw recently is to crack open the Gospel of Luke. Why you Ask? Divinely inspired, this New Testament Book is exactly 24 chapters long, taking us right to Christmas Eve! We get comfortable in our faith, we all do. I am constantly impressed on one hand and stunningly embarrassed on the other, at the total belief that converts to Catholicism hold. I marvel at the depth of their grasp and practice of the faith. As Scott Hahn, a predominant convert and apologetic, stands as a role model for us, especially during this most reverent and holy season.